Fredericton’s Playhouse Theatre is celebrating its 40th anniversary with packed houses and a new season launch. 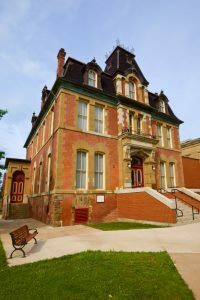 The Playhouse has been the arts centre of Fredericton for generations. 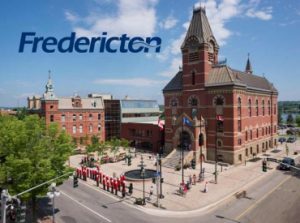 It suffered losses with few shows and stagnant attendance through the 1990s and the City of Fredericton saved it from being shut down by buying it from the Beaverbrook Foundation. Now, with new management and a revitalized lineup, the shows play to packed houses. In 2002, the Playhouse sold a million dollars worth of tickets, for the first time. The season also includes lots of music, in varying genres including baroque, bluegrass, classical, blues, choral, folk and gospel. Other shows booked for the 40th anniversary season are the fantastic creature-theatre of Frogz, Cape Breton’s Rankin Sisters, a Christmas musical and a brand new dance series including Les Ballets Jazz de Montreal.